I loved the history in this novel- I loved the descriptions of the clothing and the places they worked and lived. I loved the new freedoms beginning to come to women in the workplace during the period. There was something though about Maisie that I couldn’t warm too. Her persona was guarded and I found her a bit confusing. She seemed to be half self-assured and also half-timid throughout much of the novel. While I understood that in her position she was bound to be nervous and worried that she would be found out to be not as “society” as they thought, I still found her private life to be much more reserved than I was expecting. I think perhaps we were never given a full back story for her which made her seem distant. I would also have gathered a lot more about her from interactions with friends rather than simply the slow progressions of friendship we were given through her work. There were a lot of historical players brought into the story and the author tried to keep the main facts properly placed in time during the novel. I didn’t know until the end what was based on fact and what wasn’t. 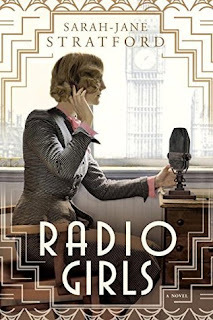 Radio Girls was fast paced when required and slow when necessary and the plot was on point. I was also fascinated by the other workers at the BBC, the evolution of the Talks program as it began to take hold for the people of Britain, their interests and their desire for information coming out in the behind the scenes of the programmers of the novel. Hilda Matheson was a force of nature and all of her moments were inspiring. 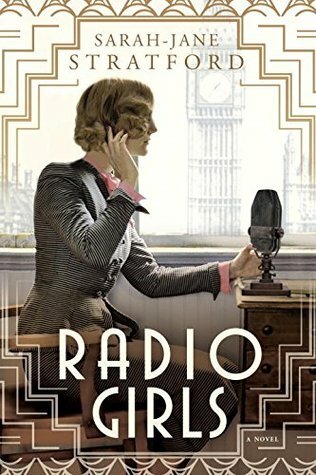 I would have to conclude that the time period explored was what drew me most to Radio Girls and certainly it’s a subject I had not read anything about before this book. Fascinating!